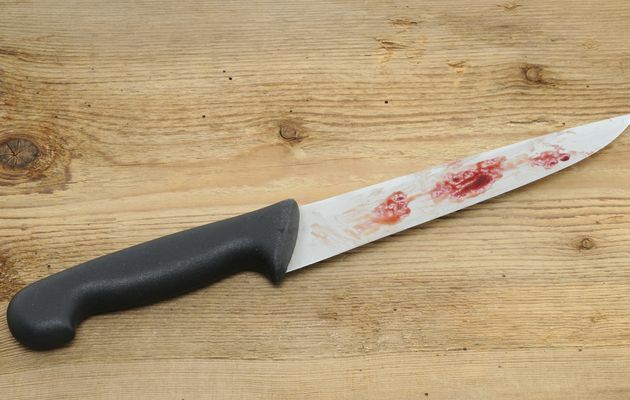 A JAILBIRD from Bulawayo's Matshobana suburb fatally stabbed his uncle with a kitchen knife following a dispute revolving around a protection order granted against him. The incident occurred on Christmas Eve shortly after 8PM in Matshobana suburb. The victim identified as Jonathan Phiri (39) of Entumbane suburb was allegedly stabbed in the neck by his nephew, Desmond Phiri (22) for intervening in a dispute between the suspect and his grandfather Mr Manonoka Mponda over a protection order. Jonathan's father Mr Mponda (68), said he was devastated following the brutal manner in which his son was killed. "On the fateful day, the suspect who is my grandson visited my house despite a protection order against him, which was granted in 2017 because of his rowdy behaviour. I then demanded to know why he set his foot on my yard during which we started exchanging harsh words with the suspect verbally abusing me using obscenities," he said. Mr Mponda said the deceased intervened and ordered Desmond to leave the house. "The deceased and the suspect exchanged harsh words and the dispute nearly degenerated into a fight but they were restrained by my other son," he said. After the scuffle, Jonathan left his father's house and when he was a few metres away, the suspect followed him and stabbed him on the right side of the neck and he collapsed a few metres away from the gate of his father's house. Mr Mponda said his grandson took the knife from his cousins who were washing dishes behind the house. The deceased's brother Johnson said the suspect is a violent man who abuses drugs. "My nephew is a very violent person which is the reason why my father decided to apply for a protection order against him. At one time he damaged window panes at my father's house and destroyed a precast wall. He would even threaten to kill his mother until she ended up relocating to Mpopoma," he said. Johnson described his nephew as an unrepentant habitual criminal who once served in prison for pick-pocketing and robbery. Soon after committing the crime, the suspect fled into the bush and he was arrested a few hours later while snoring in a disused NRZ wagon, which has turned into a haven for criminals. Deputy police spokesperson for Bulawayo Metropolitan province Inspector Abednico Ncube confirmed the incident. "I can confirm that a 22-year-old man fatally stabbed his uncle with a knife following a dispute which revolved around a protection order. We have since arrested the suspect and he is in our custody assisting us with investigations," he said. Insp Ncube said the deceased's body was taken to the United Bulawayo Hospitals for a post mortem. The family said they were waiting for the post mortem results before burial.